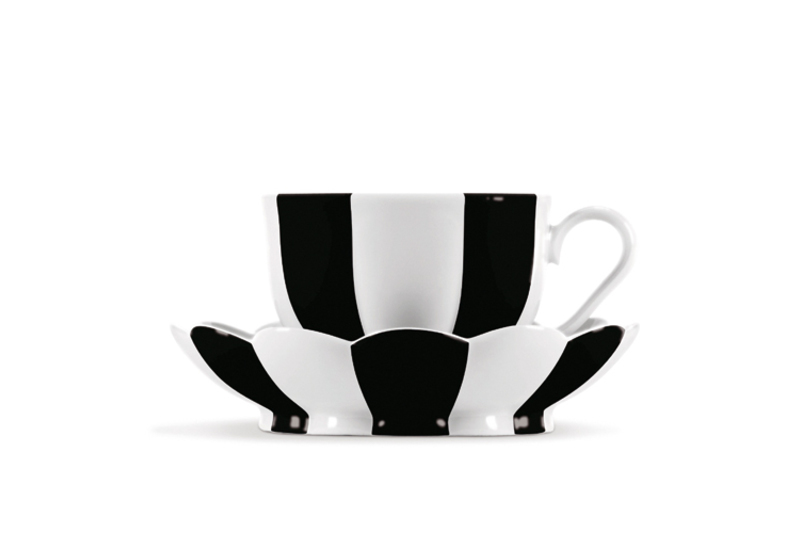 Josef Hoffmann, founder of the legendary “Wiener Werkstätte”, designed this world renowned mocca service in 1929. Hoffmann was one of the greatest designers of the 20th century , along with Gustav Klimt, Adolf Loos and Otto Wagner, he was a member of the “Wiener Sezession”. Probably the most famous service of the Wiener Porzellanmanufaktur (Vienna Porcelain Manufactory) Augarten, founded in 1923, was designed by Josef Hoffmann (1870–1956) prior to 1933. 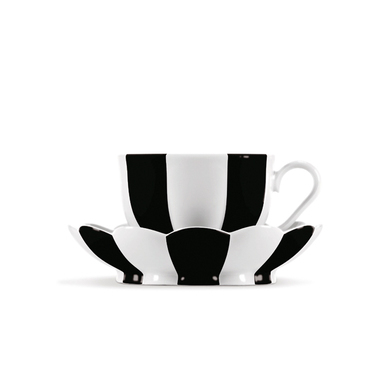 In keeping with Art Deco taste, visible in the fluted wall of the cups, the Mokkaservice, Form 15 “Melone” is today a modern classic of twentieth-century Austrian ceramics, and is available in many color versions. Due to the large number of rounded features, it continues to place very high demands on the porcelain painters at Augarten when using the airbrush.